I had been looking forward to and planning for this event for months. I had arranged to rent a special lens to best capture the fine detail, and cleared my calendar so that I could travel to find clear skies if need be, so imagine my dismay when the weather maps showed nothing but cloud the size of four states for the days before, during and after the event. There are some things you just have to roll with, being obviously out of the bounds of human control. Fortunately I was able to cancel my special lens rental without penalty, and there was no sense in traveling anywhere since the viewing was going to be a crapshoot throughout the entire Southeast. I managed to snag a few shots through hazy cloud before the show finally succumbed to clouds too dense to permit any further expectations. 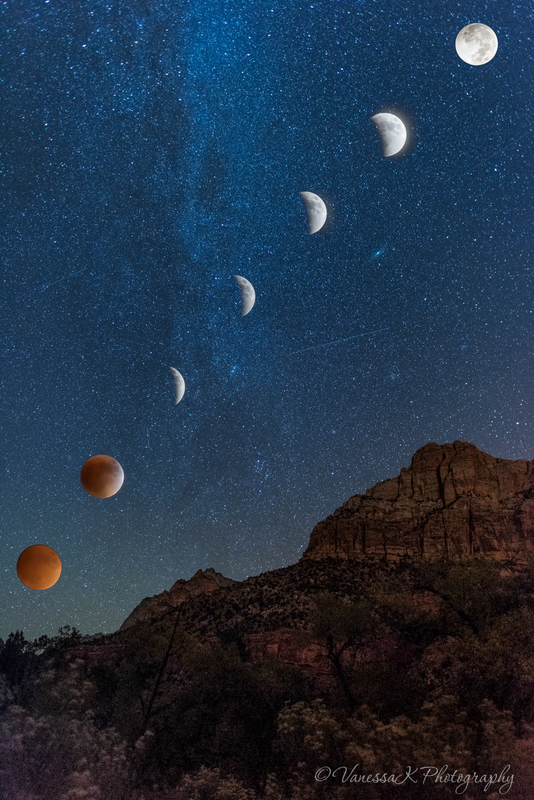 This is a fun composite I put together of the eclipse progression into totality before I gave up and went to bed at around midnight.